For his Caper’s Clams, Dave Belanger plants seed clams in the waters near Caper’s Island. Three years later, they are harvested and held in the water to be purged of all grit. 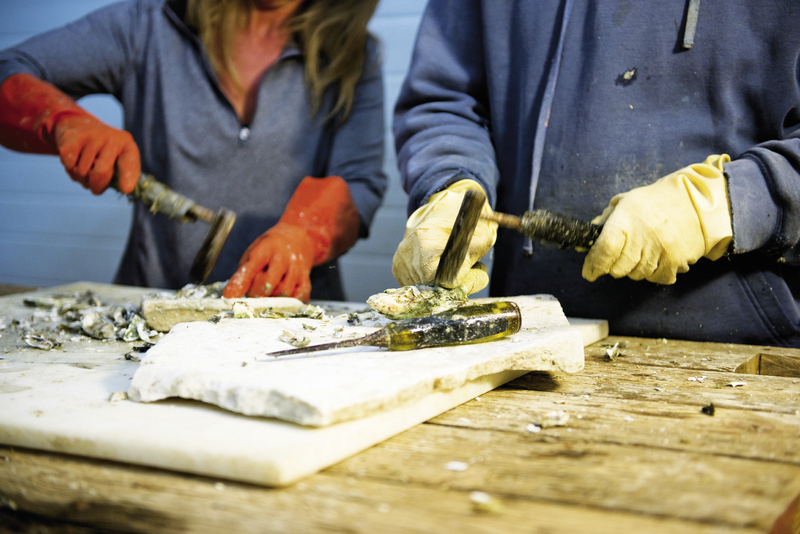 Many hours of labor go into sculpting his Caper’s Blades oysters from clusters into singles. Dave with pal Bugsy outside his McClellanville processing facility, which he has plans to expand into a food hub, of sorts, where he’ll sell his shellfish products as well as local organic produce and meats. 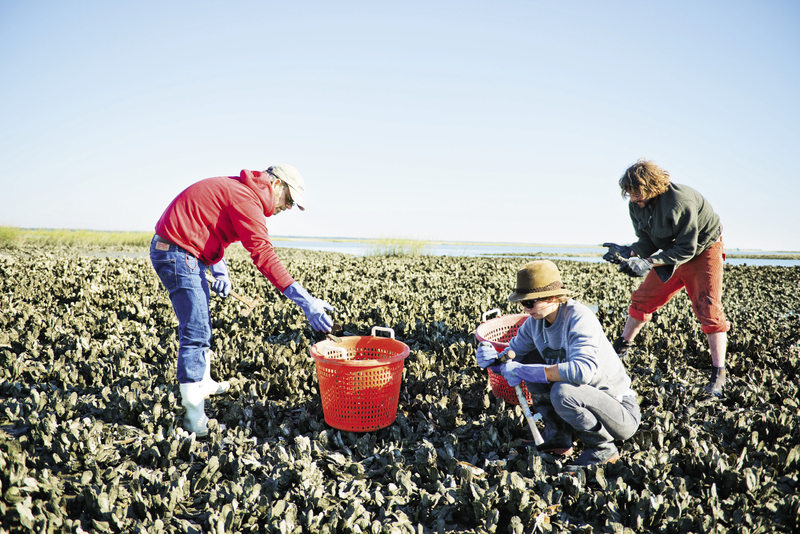 Dave and crew work the oyster beds, keeping their practices focused on sustainability. 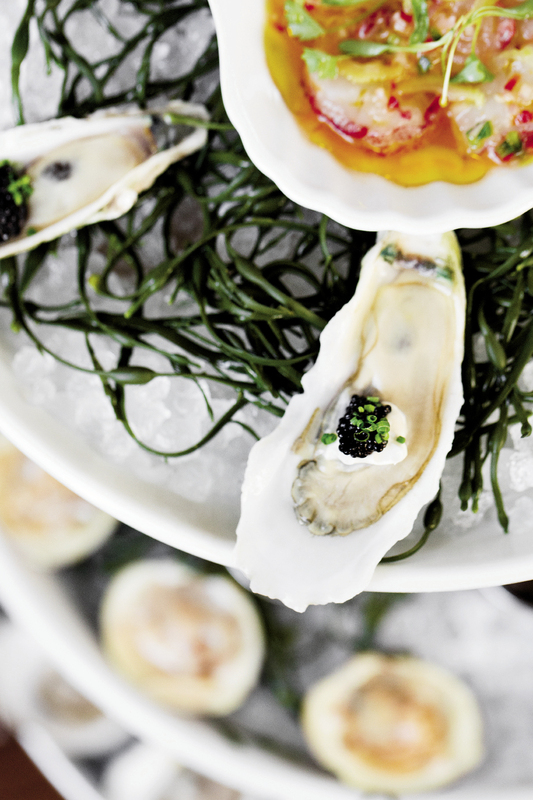 “Back in the ’50s and ’60s, those guys treated it like a garden, taking only the big ones and leaving the smaller ones behind to grow,” says Dave of the proper way to harvest oysters. Caleb and Catherine set baskets of freshly sculpted Caper’s Bay oyster singles into the water, where the bivalves will continue to grow and be purged of all grit and impurities. Dave Belanger cuts a salty figure as he creaks open the old doors to his shellfish operation in McClellanville. It’s housed in a former meat processing plant where antiquated iron rails, on which deer carcasses once rolled, still snake along the ceilings of the refrigerated rooms. These days the coolers are filled with bright orange buckets brimming with clams and oysters. Tucker McCleskey, the operation’s main employee, is in early. He stands in the corner sorting the clams Dave is famous for, one by one, into small piles that clink and rattle like so many coins splayed across the white table. Developed to resemble the vongole clam of Italian fame, they are grown in the water, packed in cages at high density, where their size is stunted while they fully mature, producing hard, heavy shells and plump innards that belie their diminutive size. 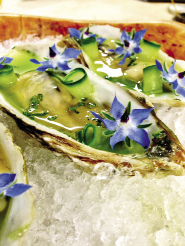 A former cattle ranch manager and agricultural and seafood consultant who grew up in the D.C. suburbs of Northern Virginia, Dave happened upon the shellfish business in the late 1990s while assisting with the bankruptcy process of a local clam farm. At age 45, he traded his last paycheck for a parcel of seed clams that he cultivated from his sea kayak as an experiment. He then took off for three years to help close down another farming operation in Florida, before returning to see what the sea had wrought. Today, from his 25-acre lease of mud bottom just behind Dewees Island, Clammer Dave’s Sustainable Gourmet ships thousands of pounds of clams north each year to New York, where they receive much fanfare in notable Italian restaurants such as Mario Batali’s Del Posto, and supplies a bevy of local restaurants with what many consider the finest bivalves on the East Coast. In 2008, Dave began diversifying into oysters, naming the small, elongated singles that are a staple of local oyster houses “Caper’s Blades.” The oysters are harvested by trusted watermen and delivered to his headquarters, where they are “shaped,” separated by hand into perfect singles using a specialized iron tool, the design of which Dave claims descended from the practices of Lowcountry slaves. 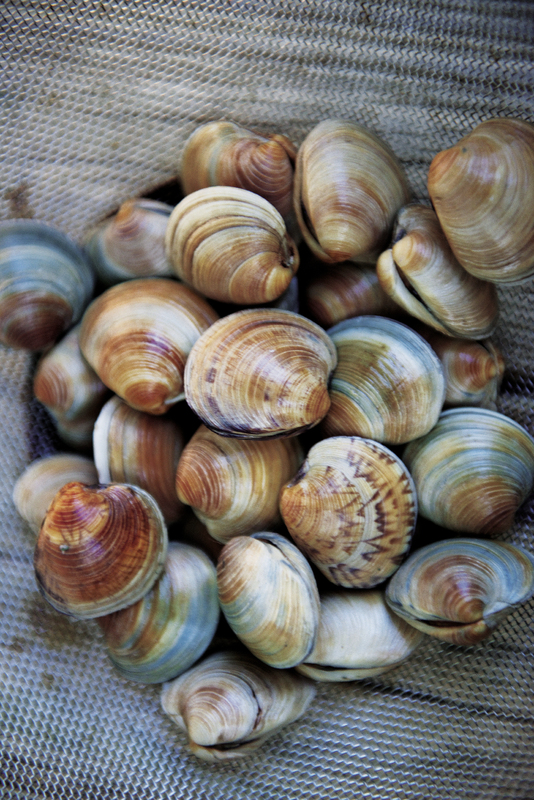 The bivalves then return to the water, where they plump up, lengthen, and become more richly flavored before being sold. This practice of returning them to the water also puts his product at risk. In the past 18 months, the company has fallen victim to a series of thefts. He’s been hit six times now, most recently in late October, and estimates the losses at $70,000. “That’s my operating capital,” Dave explains. 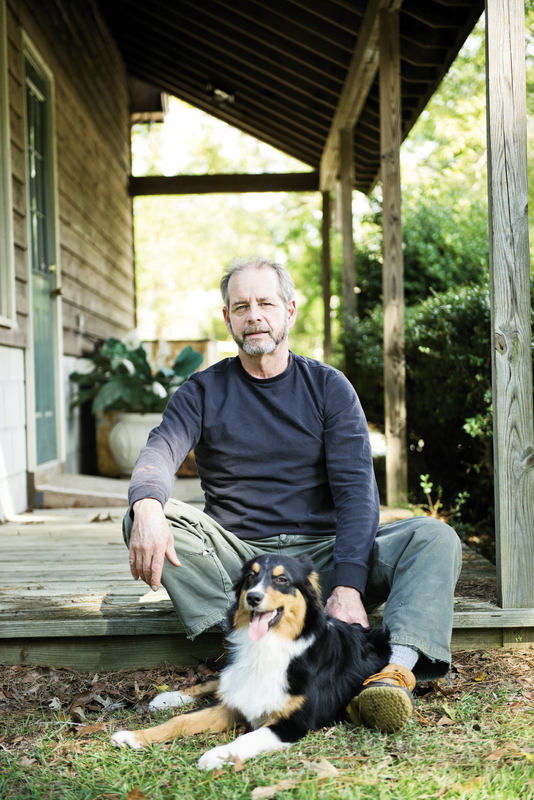 “I haven’t been able to pursue my plans for expansion.” Still Clammer Dave trudges on through sheer stubbornness and with an innate entrepreneurial creativity. Dave believes that this new product, and the coming regulations, may help support a more sustainable future for the native oyster beds surrounding Charleston. 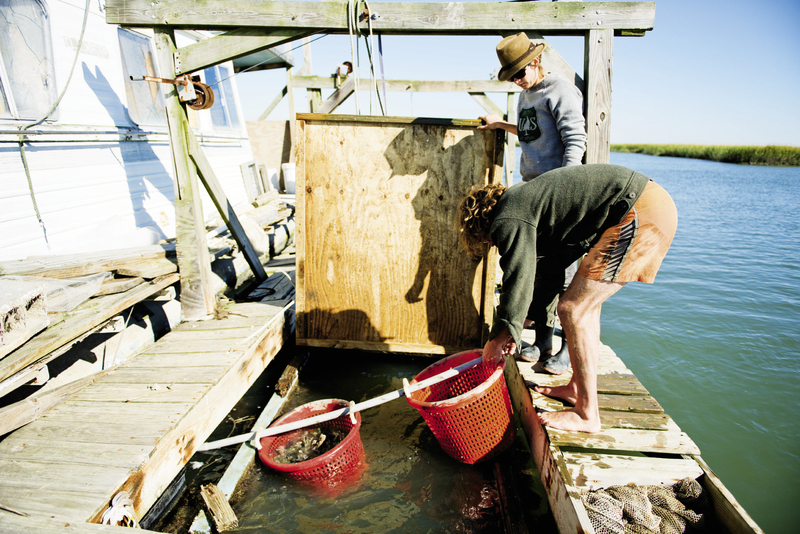 “Clear-cutters,” as he calls less scrupulous oyster harvesters, work cluster beds in a fashion akin to strip mining, often removing a tremendous amount of undersized and unmarketable stock. Dave claims that when these methods are used, 50 percent of the oysters are wasted. He believes that his process cuts that wasted by-catch to 20 percent. “Back in the ’50s and ’60s, those guys treated it like a garden, taking only the big ones and leaving the smaller ones behind to grow,” he says. 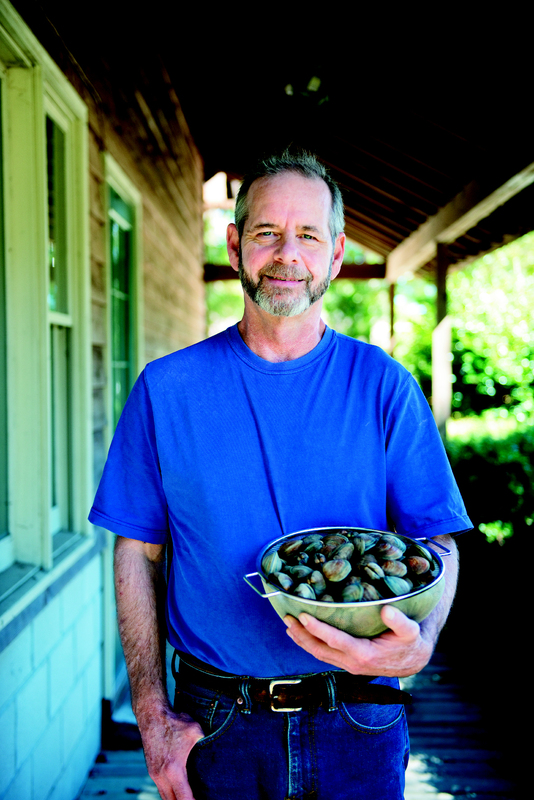 If successful, Clammer Dave has broad visions for reinvesting his capital. His plans to expand his McClellanville plant to include flash-freezing capabilities—with which he wants to produce value-added products, such as smoked fish and shellfish dips for retail sale—as well as a food hub to sell locally grown and raised vegetables and meats, have been on the back burner now for too long. Such a venture could freeze local shrimp, process finfish currently being iced for export north, and centralize the produce of area growers for the local market. It could also create jobs in a business sector that sorely needs them. Still, he faces an uphill battle. Beyond the thefts, his oyster lease is impacted by the environmental degradation of coastal development. Mosquito spraying and sewage spilling from the neighboring residential areas have impacted his shellfish beds, at some points closing them altogether due to possible contamination.